When it comes to making a gesture of appreciation or love, there’s no better way than saying it with flowers. Flower Delivery is an established online flower shop with a wide range of unique and stunning bouquets for you to choose from. Our floral gift products are always great value for money too which is why we’re the most popular online florists in Northern Ireland. We can deliver across the country if you want to reach someone a little further away. For the best value next day flower delivery, order now. Send flowers today and make someone smile! There’s a reason why flowers have been given as gifts for as long as we can remember! That’s because there’s nothing quite like flowers to let someone know you care about them. They’re also great in situations where you’re not entirely sure what to say. Perhaps someone close has passed away and you want to pay your respects to the family? Perhaps you want to apologise for losing your temper with a colleague unnecessarily? Perhaps you just want someone to know you’re thinking of them? Whatever the reasons, flowers by post deliver the message best. 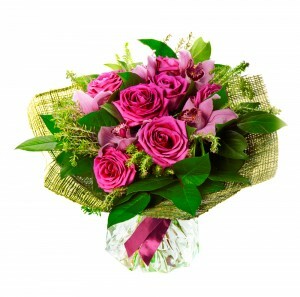 Order cheap flowers today and we can eve arrange for same day flower delivery in Northern Ireland. Next Day Flower Delivery has Never Been So Easy! It’s so simple to order your flowers online with Flower Delivery and a guaranteed way for you to get your stunning bouquet of flowers delivered in Northern Ireland on time and to a delighted response. Everyone loves a beautifully scented bouquet of flowers that bursts with colour and so you really can’t go wrong. We have loads of different types of arrangements, displays and bouquets that you’ll be sure to find exactly what you’re looking for. If you want a guaranteed gift to bring your loved one happiness – choose freshly cut flowers every time. All our floral products are cut to order so they stay fresh for days on end. You get the best flower delivery when you order flowers from us! Place your order now and see for yourself! All our florists are highly trained and have wide-reaching knowledge of the range of species and varieties that are available all over the world. Unlike other local flower shops we create arrangements that bring harmonious blooms together in a sweetly perfumed rapture of colour. Whatever your budget, your gift is luxurious because you just can’t beat the beauty of nature. We make sure all products have the appropriate food to keep all our flowers fresh for as long as possible. Our online flower shop is recognised as number one in Northern Ireland. Why don’t you make someone you love feel really special with flower delivery today? Northern Ireland is a country that is part of Great Britain and the United Kingdom and is located northeast of the island of Ireland. With a population of almost 2 million, the country shares its borders with the Republic of Ireland and represents around 30% of the island’s population and 3% of the wider British population. There are six counties in Northern Ireland: County Armagh, County Down, County Antrim, County Londonderry, County Fermanagh and County Tyrone. Traditionally industrial, the country has now moved away from shipbuilding and textiles towards services like the public sector. The capital city is Belfast. Flower Delivery will give you the very best deal for delivering the freshest flowers in the country. If you order promptly, we’ll deliver your bouquet of flowers the next day to bring delight to the day of your loved one. We have a reputation for offering the most affordable and efficient flower delivery in Northern Ireland. Nothing says it better than flowers so no matter what the occasion, you’ll find the perfect gesture with our florists. Our prices can’t be beat and no-one makes more stunning floral arrangements than us! Go on….make your beloved one’s day and send flowers online for a price that’ right for you! Chose this florist based on word of mouth, so decided to order my aunts anniversary flowers from there. Ordering was easy, transaction was as well. They reached to a very grateful couple, thank you. Hey everyone, if you are looking for cheap flowers that will not die within two days, you should visit this florist website. They offer outstanding service. Thanks a bunch for your fine service. Do I need to get on my social media page, and tell everyone they should contact you if they need cheap flowers in Northern Ireland? It's the least I can do since you have kept me happy for three years. Flower delivery cannot get any better when you deal with this online florist. I have ordered flowers from florists over the years, but this flower shop stand out when it comes to fast delivery. This florist makes it so easy for you to send cheap flowers to anyone in Northern Ireland. They have great prices and the customer service is top notch. I am a loyal customer. Just thought I would mention that. I enjoy ordering my orchids from this florist. 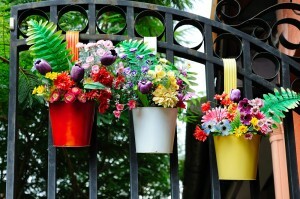 They can send flowers to your address without any difficulty. These guys are meticulous when it comes to taking care of their customers.